Ready to go to the Islands! New refrigeration, water maker and solar power with inverter! Forward and aft queen berths with large heads, aft with a Jacuzzi tub! Spacious salon with open galley down! Large aft deck with seating and hart top. Open flybridge with seating for 10! See full specs for the extensive list of upgrades! 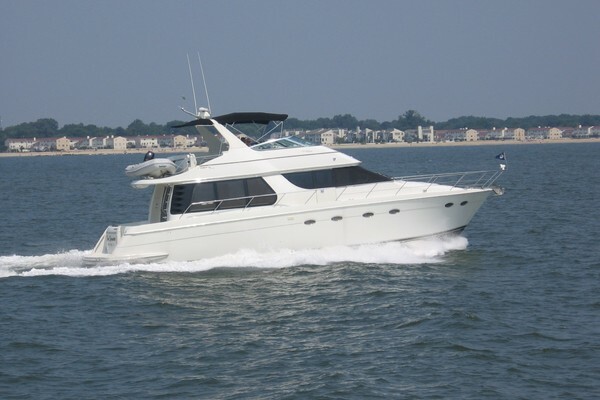 West Florida Yachts would love to guide you through a personal showing of this 46' Wellcraft 46 Cockpit Motor Yacht 1996. 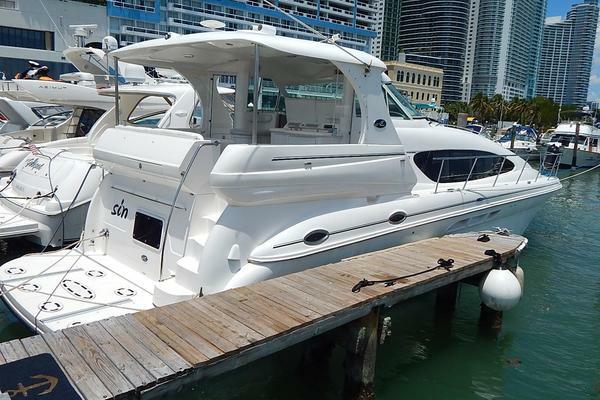 This yacht for sale is located in Ft. Myers, Florida and priced at $129,900. For a showing please contact us by filling out the form on this page and we will get back to you shortly! The Master Stateroom features a double-bed mounted on a 45 degree pedestal base with a beautiful multi-color bedspread, pillow shams, and coordinating window treatments. The Forward Guest Stateroom features a centerline, pedestal-type double berth with (2) storage drawers underneath. A matching pleated bedspread, (5) throw pillows, and shades compliment the area. The Guest/Day Head adjoins the Guest Stateroom, and has double-entry doors for use as the day head. The Aft Deck hardtop cover the entire Aft Deck and mounts to the radar arch. There are (2) hatches here which allow access to the lazarette and Westerbeke generator. The Flybridge features a helm console with full analog-type engine function gauges, a mechanical clutch, throttle levers, hydraulic steering, and a compass. Separate pluming and filtering system for desalinization system in aft cabin and head that produces 7GPH off solar alone.